The experts at Jera IT have more than 20 years of experience providing Quickbooks, accounting, and IT solutions to clients in a variety of industries, including produce, logistics, manufacturing, automotive, and legal. We can help you leverage your investment to achieve your business goals while gaining a competitive advantage that keeps customers coming back. Get flexibility that grows with your business. Easily manage your accounting, payroll, payments, inventory, and more. 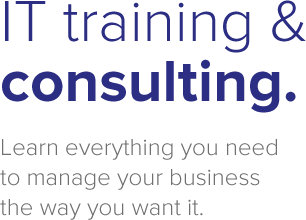 Offering custom setup, training, and support as well as long-term bookkeeping and accounting services. Helping you focus on your business by providing outsourced solutions for your accounting and IT needs. Providing sales, service, and installations of business telephone systems and networks. to serve your business needs. and never miss a call. We have customers in 150 countries and operate in 20 languages with about 60,000 contacts a month. It was essential to have a single vendor for our contact center and phones, who could scale with us.